This 1-day course provides an in-depth analysis of financial and non-financial risks which impact Sukuk. The course comes at an opportune time. In June, 2017, Abu Dhabi-listed company, Dana Gas, announced it would stop payments on its Sukuk on the grounds of Shari’a impermissibility. It proposed that creditors instead exchange the Sukuk for new Islamic instruments with a far lower profit rate. This announcement dealt a devastating blow to the Sukuk industry, and highlighted the risky nature of investing in financial instruments sold into a less mature global capital market which continues to undergo significant development as it evolves. How are Sukuk rated by the rating agencies? 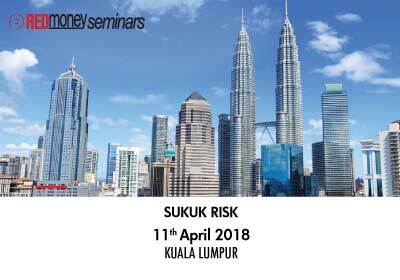 How does credit risk arise in Sukuk? What happens when risk is not accurately priced? 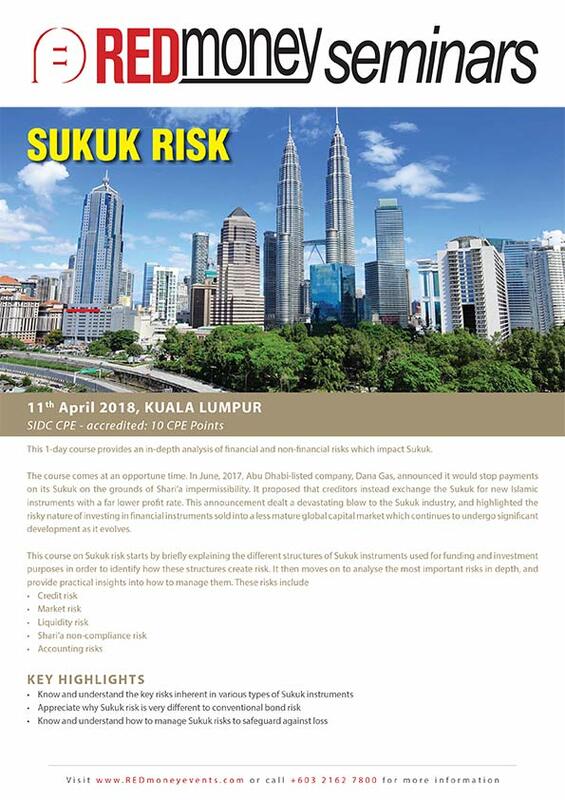 What is market risk and how does it arise in Sukuk? Does market risk only arise in traded Sukuk? How can we accurately price market risk in Sukuk if they are not actively traded? What types of liquidity risk arise in Sukuk? Is the liquidity facility really necessary?